Otto von Bismarck | . Your History Questions Answered. Even If You Never Asked. In 1870 France was ruled by the Second Empire of Napoleon III, whose rise to power must have seemed as stunning to him as to anyone. In the intervening years of the rules Napoleon I and Napoleon III, France was controlled by monarchies. During these years, because of his family relation to the more famed Bonaparte, Louis-Napoleon was forbidden from living in France. For much of his life he was an itinerate wannabe, living at various times in England, Germany, Italy, and the United States, attempting to trade on his famous uncle’s name. Much of his globetrotting days were spent in Italy where he conspired with the Carbonari for the unification of the peninsula. More than once he attempted to return to France, the first time as little more than a tourist, but the second in an attempt to foster a Bonapartist rebellion. Incarcerated after this failed adventure, he escaped from prison disguised as a construction worker. After “failure at everything he turned his hand to” his break finally came in 1848 when a revolution in France had swept aside the monarchy and reforms allowed him to return. A French Republic had been established and it would need a president. Putting his name recognition to good use, Louis-Napoleon “won [the election] by a landslide in December 1848, receiving 74 percent of votes cast.” Domestic politics in France, as well as Prussia, during this period were marked by the competing principles of the emerging liberal-social ideals and the traditional conservative interests of the aristocracy and military. From the start of his tenure as president, Louise-Napoleon demonstrated a political deftness in being able to play both sides. To the conservatives he offered sound economic policies and support for the military and to the liberals he offered social reforms and public works projects to improve French infrastructure and provide jobs. Things were going well in France, but the constitution of the Second Republic did not allow the president to run for a second term. Louis-Napoleon, in the interest of preserving prosperity staged a coup in 1852, allowing him to remain in power and within a year dissolved the republic, established the French Second Empire and proclaimed himself Emperor Napoleon III. Even after this brash maneuver, he still maintained popularity. However, over time his authoritarian rule came to be resented by the liberals and many in the middle class and domestic political unrest started to simmer. In the realm of foreign policy Napoleon III is remembered for a number of adventures, some successful and some having unforeseen and detrimental consequences. He successfully concluded an alliance with England to oppose and defeat Russia in the Crimean War, but had also foolishly embarked on a military adventure in Mexico which ended disastrously. As emperor he also continued to meddle in Italian politics, alternately supporting and condemning the unification of the peninsula. He “secretly agreed on a joint campaign by France and Sardinia to expel Austria from Italy and to establish an Italian federation of four states under the presidency of the pope,” (Columbia Encyclopedia) but in doing so, he removed any hope of having Austria as an ally in the future, a fact that would have dire consequences. Much as he had done in his domestic policies, he tried play both sides of the Italian issue, and though he eventually praised the unification, drawing the ire of pope Pius IX who “accused the emperor of having ‘feigned’ to protect him,” this resulted in merely another European power to have to deal with and opened the door for German unification. To that end, when Prussia went to war first with Denmark over Schleswig-Holstein and then with Austria over the same region, France remained on the sidelines, further isolating her from Austria. By the late 1860’s the French were becoming impatient with not only Napoleon’s domestic policies, but the loss of prestige on the Continental stage as well. The Mexican debacle and the unchecked rise of Prussian power had the masses calling for war. Even Napoleon’s wife Eugénie de Montijo encouraged a confrontation with Prussia. With all the turmoil at home and abroad, Napoleon III reluctantly conceded that war may be the only way to unify the French people. The rise of Prussia was surprising to many in Europe. As Koch cited The Times of London, “How she became an empire history tells us, why she remains so, no one can tell.” While Prussia did gradually increase in power and influence starting about the 18th century, her larger ambition was held in check for much of this time by the balance of power system of Europe. At the Congress of Vienna she was made a part of the German Confederation, a loose alliance of Prussia, Austria, and the other smaller Germanic states. The confederation was in large part an effort to contain France after the Napoleonic Wars, but it was marked by a rivalry between Prussia and Austria as to which would be the dominant German power. Prussia had been ruled by the Hohenzollern monarchy for centuries who kept close ties with the conservative landed gentry known as Junkers, and as in France during this same period, liberals and the bourgeois sought reforms from the ruling classes. Also as in France, revolution came to Prussia in 1848. Poor harvests all over Europe and the lack of real political freedom had spurred the people to action against the entrenched ruling classes and shrewd political opportunists used the uprisings for their own gain. Opportunists like Louis-Napoleon in France and Otto von Bismarck in Prussia. Having been in the Wilhelmstrasse for only a few days, Bismarck fired the opening shot of his grand strategy in the budget committee of the Prussian parliament, “It is no through speeches and majority voting that the great questions of our time are answered-that has been the great illusion of 1848-49-but through iron and blood.” The liberals were duly shocked, but they also wanted national unification, if necessary through a military showdown. Bismarck clearly wanted the unification of Germany, but only on Prussian terms and under Prussian auspices. This would require the marginalization of the other dominant German power, Austria. In 1864 Bismarck made the first of his moves, allying with Austria against Denmark for control of Schleswig-Holstein. The war resulted in joint rule of the region by Austria and Prussia, but that relationship would not remain cordial. Sturmer explains, “Bismarck ensured that harmony between Vienna and Berlin…was not to last.” Prussia had to assert itself as the rightful German hegemon. Not unlike Napoleon III in France, Bismarck was not afraid to work with the liberals and offer concessions, at least when it coincided with his interests. Sturmer goes on, “[Bismarck] started a sweeping campaign for an all-German parliament. This was impossible for Austria to accept, since direct elections throughout the far-flung and diverse possessions of the Habsburg Empire would have the beginning of the end [for Austria].” Bismarck made an ally of Italy and went to war against Austria and most of the southern German states including Baden, Saxony, and Bavaria. The war was swift with Prussia delivering the decisive blow at Konnigratz and achieving a victory so stunning it shocked the other powers of Europe, France in particular, who had remained on the sidelines. The Austro-Prussian War effectively dissolved the German Confederation and in its place Bismarck formed the North German Confederation, bribing and cajoling all the German states north of the Main River to join-at least those which were not annexed outright-while still maintaining a democratic veneer, thin as it may have been. He had a constitution drawn up for the North German Confederation that included a two house parliament, though it was still very much under the firm guidance of Prussia. These events united the previously separated the western and eastern sections of Prussia, severely weakened Austria, and increased Prussia’s population and industrial capacity which, therefore, increased it’s ability to wage a wider war. the collaboration in security arrangements made possible by the offensive-defensive treaties, which he hoped would kindle a desire for other joint undertakings; the attractions of the constitution of the North German Confederation, which offered its members the advantages of sharing in a wider community without having to give up their uniqueness; and the pressure of economic interest. But even more than that, Bismarck knew he would require some great catalyst to drive those southern states into the Prussian fold to stay. France was the obvious vehicle. As discussed early, France watched with a combination of astonishment and rage at Prussia’s meteoric ascent. No longer could she claim to be the clear dominant power of the Continent. As GeofferyWawro explains, “Whereas Prussia had counted…less than half [the inhabitants of France] in 1860, the Austro-Prussian War and the annexations nearly evened the score, giving the North German Confederation a population of 30 million to France’s 38 million and-thanks to Prussian use of universal conscription-an army one-third larger than France’s.” Napoleon III was pressured from all sides to stand firm against further Prussian adventures. Even in his own home he couldn’t escape the call for action as his wife was a virulent anti-Prussian. Unfortunately, Napoleon’s attempts at firmness played beautifully into Bismarck’s hand. In 1867 France tried to purchase Luxembourg and requested Bismarck’s help in doing so. The Prussian Minister-President refused and made sure the German press made a media circus out of the affair, stirring up German resentment of France, particularly in the South. Between 1867 and 1870 a number of similar incidents manifested themselves-such as a Prussian sponsored railway through Switzerland and a German “customs union” including the southern German states-and threatened war, but each time peace prevailed. Though Bismarck may have believed a war with France was the most likely scenario to complete unification, he wasn’t about to launch into it headlong. He was shrewd enough to know that the balance of power must still be preserved, or at least perceived preserved, or the other powers may join with France against him. If unification could be accomplished without war, so much the better, but a conflict appeared imminent. It is worth noting here Craig’s warning that “it is always dangerous to speak with too great assurance of Bismarck’s intentions” and his caution to assume that Bismarck “was seeking war with France from the beginning of the Spanish question.” While it is true that Bismarck did not much concern himself with the matter at first, this can be explained by the fact that Leopold had initially declined the Spanish invitation. Once the throne was offered a second time Bismarck grasped the opportunity with both hands. As Wawro wrote, “Working patiently for the war with France that might unite the German states, Bismarck saw in the unfolding Spanish crown question another useful provocation.” Given the tenuous state of relations between France and Prussia after the Austro-Prussian War and the previously discussed incidents between them during that period, most baring Bismarck’s fingerprints, there can be little doubt that Bismarck’s objective was war. Thus it was on January 18th, 1871 the grumpy King of Prussia stood on a dais in the Galerie des Glaces, Versailles, listened first to a chorale chanted by a military choir, then to an exhortation from his Court Chaplain, then to the singing of “Now thank we all our God”, and afterwards read out load a declaration that the German Empire had been re-established. To a frantic waving of swords and helmets and the rolling of drums, a military band burst into patriotic music, and the Crown Prince kissed his father’s hand, followed by all the other Princes present. At the conclusion of the ceremony the new German Emperor wrote to his wife that he had passed the most unhappy day of his life. 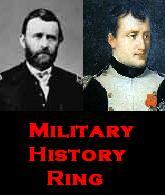 The Franco-Prussian War would have an enormous effect on the immediate and distant fate of Europe. The most obvious of these effects being the emergence of the German Empire as one of the most, if not the, most powerful nation on the Continent. Bismarck, who had become Chancellor of the German Reich, was wise enough to keep this new found power under control. Having achieved his ultimate goal of a unified Germany and having no desire for further border expansion, he sought out alliances with other powers and concluded several treaties to assure Germany’s security. True, he had upset the European balance of power with his expansionist wars, but afterward he rebalanced the scales, this time with Germany as one of the strongest weights. However, when he was dismissed by King William II in 1890, that restraint went with him. William II was determined to make Germany not only into a great European power, but a naval and colonial one as well. His brash approach to these endeavors, particularly a naval arms race with Great Britain, would have dire consequences. Another consequence of the war was the effect it would have on future German generals. As explained by Wawro, “The war thus empowered a whole class of militarists who linked Germany’s health to war and expansion.” This psychological repercussion would echo well into the twentieth century. The vaunted German General Staff would assert itself into the policy making of the Reich-the Second and the Third-or at the very least was complicit in the blunders and crimes of the civilian leadership in an attempt to retake glory for itself on the battlefield. While the French Third Republic would eventually become a reborn European power in its own rite, its initial days were hampered by the huge costs of the war. In addition to the war costs themselves was a reparations bill of five billion francs to be paid to Germany. Reforms in the republic soon turned things around, economically, militarily, and in terms of national unity. By the outbreak of World War I in 1914 Franc once again had a larger army than Germany. This new found strength in France was met with surprise in Germany where “conventional wisdom in 1871 purported that with his harsh indemnity and annexations, Bismarck had ‘crippled France for thirty to fifty years. '” France’s phoenix-like rise served to keep tensions between the two rivals at a high level for the next several decades. Adding to the enmity was the fact that Germany had annexed Alsace and Lorraine after the war. Even though Wawro explains that “tempers had cooled considerably by 1914 when most French had reconciled themselves to the loss of Alsace and Lorraine” it was enough of a sore spot that the secret French battle plan put into action at the outset of WWI, Plan 17, called for the retaking of the region from the very start. This exercise in vengeful war planning would prove costly since the main German thrust came not through that region but through Belgium. It is difficult not to wonder if the repercussions of the Franco-Prussian War would not have been so far reaching, at least not as tragically so, had Bismarck remained as Chancellor after 1890. He was 75 years old when he was forced out by Wilhelm II and would not have lived long enough to intervene in the crisis of the summer of 1914, but had he had more time to influence the second King William of Prussia, his guiding hand may have still invisibly been at the helm and steered Germany through those treacherous waters safely. It wasn’t of course and the Second Reich found itself entangled in affairs over a region that the old Minister-President vowed he would never trade the bones of one Pomeranian grenadier for. But even a brilliant statesman such as Bismarck can not see into the future and can never know what untold consequences his decisions may have on future generations. The stone thrown for the unification of one nation sent ripples far out into the future that would make, shape, and destroy countless other nations the world over, causing catastrophes not thought possible by human beings and ushering in a new era of world order. Craig, Gordon. Germany 1866-1945. New York: Oxford University Press, 1978. Koch, H.W. A History of Prussia. New York: Longman, 1978. Colton, Joel, Lloyd Kramer, and Palmer, R.R. A History of the Modern World. 10th ed. New York: McGraw-Hill. 2007. Whittle, Tyler. The Last Kaiser: A Biography of Wilhelm II German Emperor and King of Prussia. New York: Times. 1977. Wawro, Geoffrey. The Franco-Prussian War: The German Conquest of France in 1870-1871. New York: Cambridge University Press. 2003. Geoffrey Wawro, The Franco-Prussian War: The German Conquest of France in 1870-1871 (New York: Cambridge University Press, 2003), 6. H.W. Koch, A History of Prussia (New York: Longman, 1978), 250. Michael Sturmer, The German Empire 1870-1918 (New York: Random House, 2000), 21. Wawro, The Franco-Prussian War, 3. Wawro, The Franco-Prussian War, 19. Wawro, The Franco-Prussian War, 35. Wawro, The Franco-Prussian War, 37. Joel Colton, Lloyd Kramer, and R.R. Palmer, A History of the Modern World. 10th ed. (New York: McGraw-Hill, 2007), 531. Wawro, The Franco-Prussian War, 34. Colton, Kramer, and Palmer, History of the Modern World, 532. Wawro, The Franco-Prussian War, 312.
Who Were The Important People In WW2? Who were the leaders of the Cold War?